Mother Meera is an embodiment of the Divine Feminine, the Divine Mother on earth. 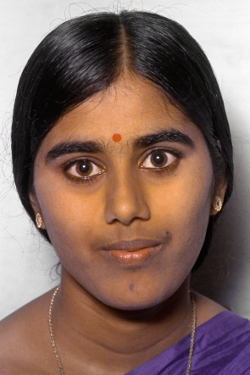 Mother was born in 1960, in the state of Andhra Pradesh, southern India. Today, she lives in a small village in the German countryside. Here, and during her travels around the globe, she gives her unique blessing of Darshan. The free transmission of Light, Love and Grace is Mother’s gift to the world. Mother came to prepare and cleanse world consciousness and make it ready for transformation to a higher level of evolution. To ensure this development She calls down the Light of the Supreme consciousness. In her work of Darshan she prepares humanity to become open to the Light, so that the Divine Life and Will can become manifested on earth. Mother Meera has no interest in conversion or in changing anyone’s faith or creed. This is simply irrelevant for her. Neither is Mother a Guru who takes disciples; She is simply a Divine Mother for everyone who turns to Her. Everyone can pray to whichever form of the Divine, or Avatar, that inspires their faith. Prayers should come from one’s soul and heart and all sincere prayers to the Divine reach to Her as well — this is her affirmation to us. The soul’s sincere cry is heard and answered; all pure inner openings to God are also openings to Her and Her Light. Mother’s work is for the whole world, for all faiths and all people, regardless of social status or ethnic origin. She is the Mother of us all, and we may all live in peace in the light of her all-encompassing love.